The best aspect of King Conan: The Hour of the Dragon is that it seems less like a comic and more like a campfire story. This is due entirely to the writing style of Robert E. Howard, whose unpretentious prose - much like the plays of Shakespeare - demands to be spoken rather than read quietly. 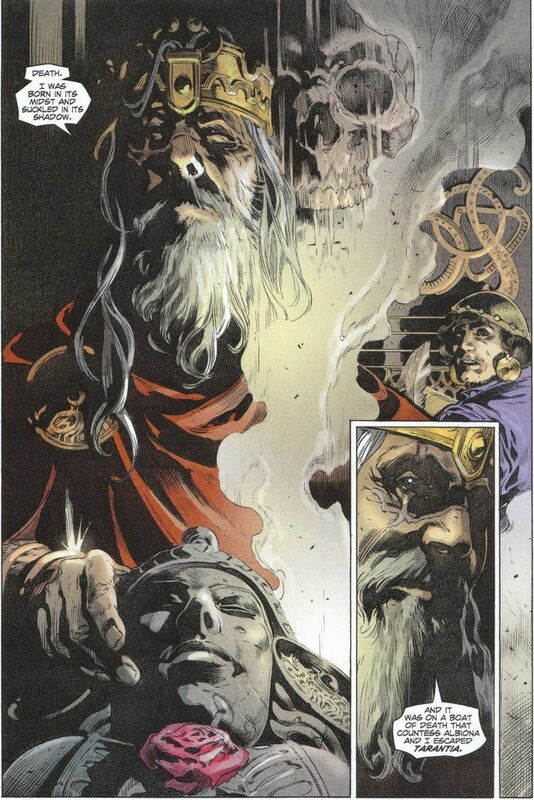 Writer Tim Truman wisely chooses to portray the story as such, with an aged King Conan recalling the action of the story to an enthralled scribe. The action of the issue is thrilling indeed. 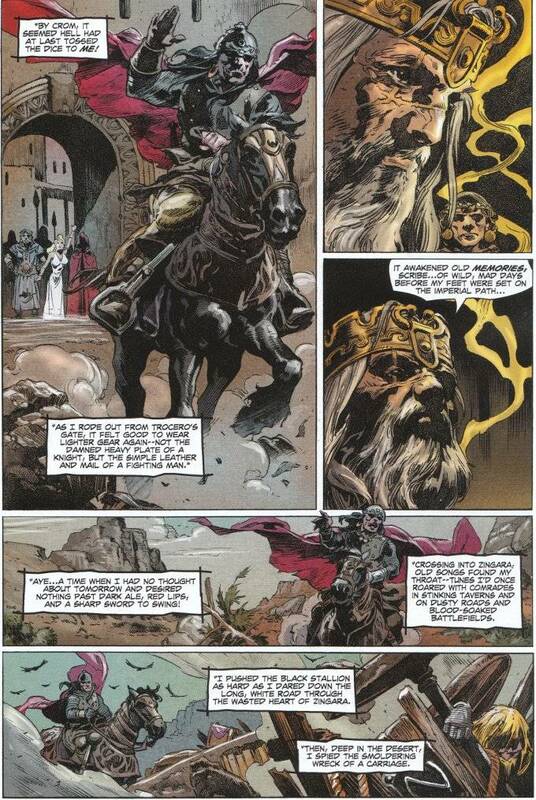 After seeing to the safety of the Countess Albiona (whom Conan risked much to save in the previous issue) our hero rides off in the guise of a simple mercenary in pursuit of a magical gem that will give Conan power enough to stand against the sorcerer who aids the usurping nobles that have conquered his kingdom. Naturally there are complications and high adventure but also humor, as Conan shows his cunning in a variation on the old joke regarding a translator delivering the wrong message to an oblivious fool. As always, Tomas Giorello's art is impressive. There is a gravity to Giorello's work and a true depth to his pencils and inks rarely seen in modern comics. Attention must also be paid to Jose Villarrubia, whose sombre palettes bring new life into the world of Hyboria, despite it's dark and depraved nature.